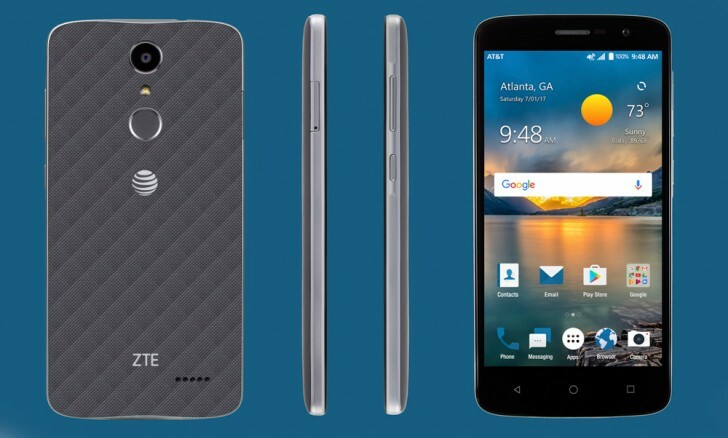 ZTE has launched a new device on AT&T’s prepaid segment called the ZTE Blade Spark. The Blade Spark marks the second Blade-branded device to hit the United States (the first was the ZTE Blade V8 Pro). Equipped with a Snapdragon 425 CPU and 2GB of RAM, the Blade Spark is an entry-level offering at $99 which also packs biometric security in the form of a fingerprint scanner. While this smartphone won’t get any awards for its performance, it has the power and efficiency to get most of what you need to get done: calls, messages, social media, and casual games. There’s even a selfie shortcut that fires up the 5MP front-facing camera. The main camera is 13MP. You’ll also be getting Android Nougat 7.1.1, which is nice, considering that a bunch of flagship devices are still proudly running 7.0.X. A convenient software feature is the ability to map up to five fingerprints to unlock and open any app you choose. The ZTE Blade Spark will is available from AT&T’s website today and in a select number of stores for the aforementioned price of $99. You can unlock for less than $2 on ebay then use it for T-mobile, I did that.